Octane Fitness, known for innovative elliptical cross trainers, offers the xRide-series - a whole body training unique up to now. And with sitting position! 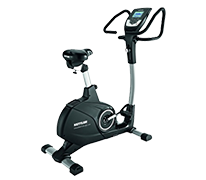 The Octane Fitness xRide models combines all the advantages of a conventional elliptical cross trainer with a recumbent bike's comfortable, seated position. Unlike the Octane XR6e, the XR6ce recumbent bike features integrated hand sensors for the measurement of the heart rate. MOM Mode for optimum safety. Unwanted movement and the use of the console are prevented. Octane Fitness exercise bike guarantee a unique whole body training. The fitness machines of Octane Fitness are among the best sold machines in the US every year. One of the reasons is that Octane is specialized in manufacturing elliptical cross trainers and exercise bikes. 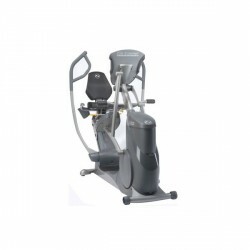 This specialization and experience in elliptical cross trainers and exercise bikes make the fitness machines of Octane so unique regarding comfort, durability, and training quality.